A Marriage Made in Hemp-Heaven, AVL Giants Franny’s Farmacy and Bhramari Brewing Partner for a CBD Infused Beer. Franny’s Farm / Farmacy and her compassionate family of farmers and friends are dedicated to bringing customers quality products from seed to shelf. Franny, North Carolina’s first female hemp farmer is ecstatic to partner with local small businesses like Bhramari to share the miraculous benefits of hemp with the community. Franny’s Farmacy Celebrates 420 in Asheville, NC! 4.19.19 – 4.20.19: Get ready hemp-heads! Join Franny’s Farmacy as we celebrate the 4.20 Holiday with an array of festivities dedicated to Asheville’s most celebrated wonder crop, Hemp! Have yet to experience the many benefits of CBD? Consider this your invitation! On Friday, 4.19, The Whale on Haywood Road in West Asheville will be ringing in the occasion with a smoke “sesh”on the patio. Don’t be late, at 4:20 sharp we’re lighting up with Franny’s Grammy’s Hemp Pre-Rolls! This smoke session is sure to be “lit” as CBD induces feelings of relaxation and promotes a state of mind that leaves over-thinking at the door. 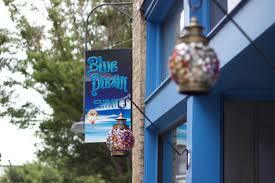 On Saturday, 4.20, wake-n-bake over to Blue Dream Curry on Patton Avenue where a percentage of proceeds will be donated to “Women in Hemp“. WIH is funding a 3-year NC State Research Trial in Western NC with Franny’s Farm and local hemp growers. Spoiler alert! Franny will be handing out freebies at the event from 11am-1pm! This is Asheville and we’re not forgetting about our beer! 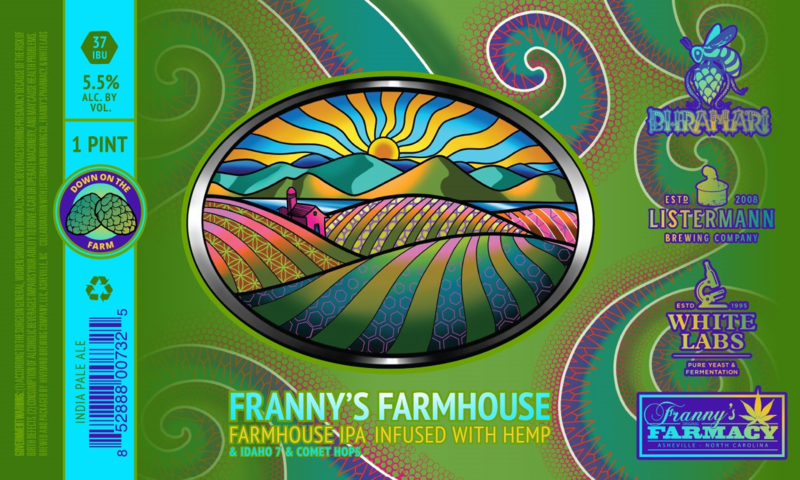 Bhramari Brewing Company will be releasing their first hemp infused beer, Franny’s Farmhouse Ale. Bhramari Brewing is known for creating locally inspired, experimental craft brews with a focus on creative combinations. Don’t miss the release of this hemp infused sip of a day dream! Franny’s Farmhouse Ale will be tapped from 2pm-5pm in the taproom at 101 South Lexington Avenue. The festivities Grand Finale will take place at the Urban Orchard South Slope Location where Franny’s Farmacy will be giving away more FREE Franny’s Grammy’s Hemp Pre-Rolls during a community event with Free Live Music on the outdoor stage at 5:30pm. Franny’s Farmacy and her compassionate family of farmers and friends are dedicated to bringing customers quality products from seed to shelf. Franny, North Carolina’s first female hemp farmer is ecstatic to partner with local small businesses to share the miraculous benefits of hemp with the community.